This year, in addition to initiativeEquity fundThe effect of making money is highlighted. The rise in the stock market has also led to a rapid increase in the price of convertible bond assets.Debt baseKim Jong received good returns. However, in the stock market adjustment expectations, the average price of convertible bonds is approaching 120 yuan, and the premium rate is high. Some fund managers believe that the cost performance of convertible bond investment is declining, and some stock convertible bond funds have already “striking and withdrawing”. The data shows that the current 44 convertible bond funds with statistical data (A and C share calculation) have an average yield of 13.55% since this year. More than 25%, do not lose a lot of active biasStock baseGold income. Among them, there are as many as 12 convertible bond funds with a yield of more than 20% this year, accounting for 27.3%. The Yinhua CSI Convertible Bond Index Enhanced B, Soochow CSI Convertible Bond B, and two graded B funds invested in the convertible bond market. The yields this year were as high as 71.04% and 68.04% respectively. A medium-sized public fundraising fund manager in Beijing believes that the current stocks corresponding to convertible bonds are mainly small and medium-sized stocks. These stocks are stronger and weaker. In the current market position, the volatility of convertible bonds Similar to stocks, and most of them are in a high premium state, holding maturity is also a state of loss. The fund manager analyzed that a number of convertible bonds set the maturity redemption clause and the conditional redemption clause, ifConversionDuring the period, the listed company's share price rose for 30 consecutive trading days or at least 15 trading days, and the listed company's share price rose more than 30% of the current conversion price. The listed company has the right to decide to redeem the convertible bonds that have not been converted by the face value of the bond and the current interest price. If you do not convert the shares in time, you will suffer. 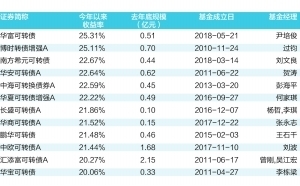 Beijing's second new public offeringExecutiveIt also indicated that the current convertible bond price is indeed somewhat high, and many convertible bond prices are above 120 yuan, and the premium rate of convertible bonds is also relatively high. Moreover, even if the stock market continues to rise, the price of convertible bonds will rise to the price of the underlying stocks. However, once the market is adjusted, the convertible bonds with poor liquidity may lose their floating profits. Therefore, the stock convertible bonds of his company are “withdrawn and withdrawn”. 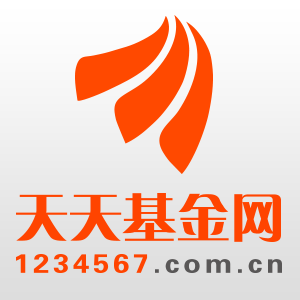 Gradually withdrawing from the market, holding a coupon is also focused on excellent selection. A general manager of a medium-sized public fundraiser in Beijing said that his current public offering has a fund that favors convertible bonds and has earned a good return for investors this year. This year's convertible bonds are still generally undervalued: on the one hand, convertible bonds are less volatile than stocks, and earnings are higher than pure bonds. Although the market is sluggish and lacks liquidity, liquidity will be better when the market rises; On the other hand, his public offering combines quantitative investment to select the convertible bonds. At present, the risk-to-reward ratio of convertible bonds is still relatively high. Although the convertible bond price is higher, the convertible bond is still a better investment with higher risk return. . He said: "In the past two years, the convertible bond market has expanded rapidly, and the stock convertible bonds have quickly surpassed more than 100. With the increase in the issuance of convertible bonds and the active market sentiment, the current market demand for convertible bonds is also As it grows, more and more funds are paying attention to convertible bonds, and such assets have also received increasing attention and attention from investment institutions from niche varieties." In fact, the scale of convertible bond issuance has indeed expanded rapidly this year. The data shows that as of April 12, this yearannouncementThe number of convertible bonds issued reached 56, and the total planned issuance reached 146.617 billion yuan, which is 84.76% higher than the total size of last year. Among them, CITIC Bank issued convertible bonds of up to 40 billion yuan, Ping An Bank and Jiangsu Bank issued 26 billion yuan and 20 billion yuan respectively. The scale of convertible bonds issued by three banks reached 86 billion yuan, close to 60% of the total issued size.